Where do you go to get some hope when yours runs out? 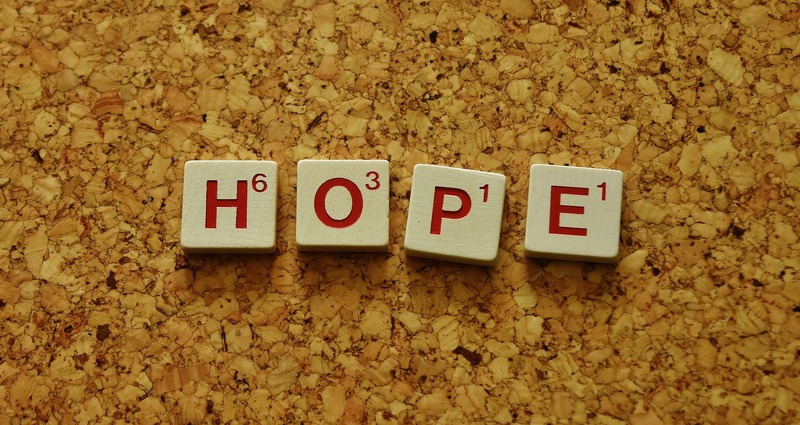 There is no doubt in my mind that hope is an essential ingredient for recovery. Without hope, nothing gets done and if you do not change things then nothing changes. How do you move from being hopeless to having hope? What is up with those people who are consistently full of hope? One ingredient of Hope is wishing for something. Sometimes we are in misery but if we do not believe that things can get better our only wish is that things not get worse. Fundamental to this having of hope is the belief that there is some possibility of it happening. This is why we encourage recovering people to have a support system. Even when you are beset by doubts, having positive people in your support system can increase your levels of hope. When you go to a meeting and the person next to you tells a story of their hope and their recovery it becomes easier for you to believe that this can happen to you. To hope requires action. The continued practice of hoping that if you take the necessary action then things can and will get better. If you continually tell yourself “that can’t happen” or “that will never happen” you are creating that possibility. Your continued telling this tale to your brain results in the brain believing that this thing you desire can never under any circumstance happen. Your brain responds by making sure to please you and prevents this outcome. But if you can tell yourself that this “could” happen, it “might” happen if you continue to try, this allows the brain to do the actions needed to move towards successes. I have seen this repeatedly in my clients and students. Those who say “I could never go back to school at my age; I could never get a degree.” They don’t. Those who are willing to move even the short distance to “I do not know if I could do this but I will try” they get going, do the required work and in a great many cases they succeed. Our dictionary’s second definition of Hope as a noun moves closer to successes. Once you move to the belief that this thing, this outcome you wished for is not only possible but likely the road gets easier. Not that there won’t be obstacles and bumps on this road. There is a connection between hope, willpower, and determination. Willpower and determination are wasted without hope? With hope, you can develop the willpower and determination needed to keep moving forward. Many people grew up in non-affirming homes. They were told they would never amount to anything and they were no good. If you hear this often enough you come to believe what you are told. You lose hope. Working with a counselor, a supportive friend or a group of peers you can rebuild hope. Small successes will convince you that there are things that you can do if only you try. Hope is most valuable when times are hard and things are not going your way. The belief that there is something you can do to alter your life course and the hope that if you keep trying you can reach that goal will keep you going. Hope is more than just a positive attitude. It encompasses the belief in yourself, that if you do the required things then good outcomes are possible. Where are you on this journey of moving from hopelessness to hope? This entry was posted in Hope and tagged Emotions and feelings, Hope, optimism, problem solving, recovery and resilience by David Joel Miller. Bookmark the permalink. Great post, always a pleasure reading you.